Greater Noida is one of the evolving reality hotspots of National Capital Region. 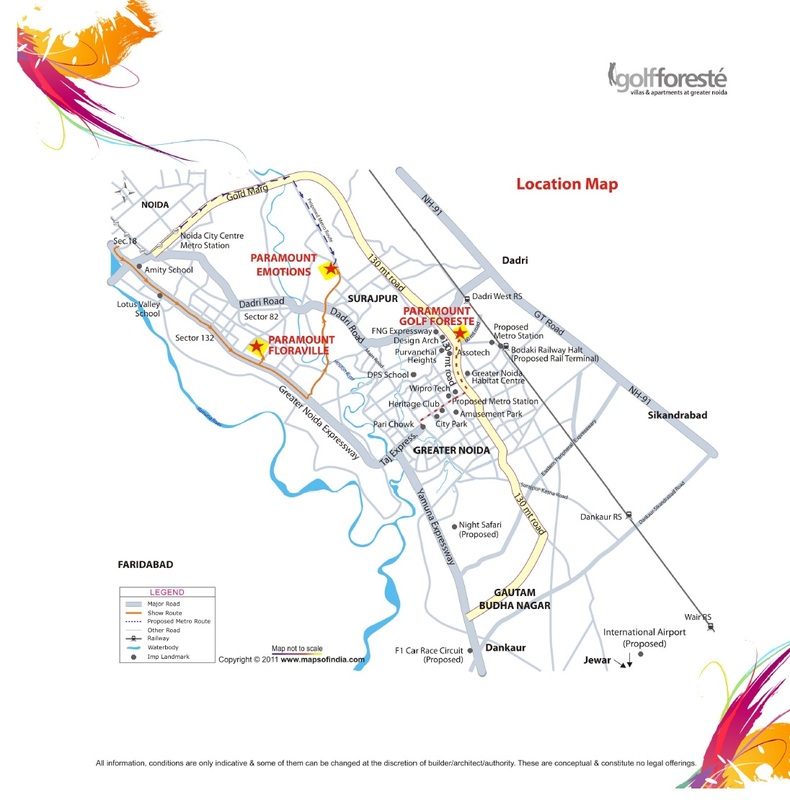 Paramount Golf Foreste is an amazing and thriving destination to live in. It is a fine choice if one wants easy access to all desirable destinations available. It is widely spread across a lush green, which makes it all the more easy to fit in, all the unique amenities it offers at present. ‘Golf Foreste’ offers panoramic and beautifully crafted landscaped views from all sides. Through the windows, things right at the heart of nature. The serene and perfect location of Paramount Golf Foreste Greater Noida means that it remains quite calm throughout the day, away from the hustle-bustle of the annoying city congestion. The project is overspread on an expansive land parcel. Various inbuilt amenities such as Golf Course, Jogging-Track, Squash, Synthetic Cricket pitch, Tennis, Basketball, Badminton court etc. As in the context of a classification of apartments, they are being offered at the perfect sizes of 4 BHK plush residential segments. An excellent established market base is established with various options nearby for different people who have different requirements. These residential spaces are spanning in sizes varying from 2452 sq. ft. to 3008 sq, ft. Sector-Zeta is directly accessed to Noida- Greater Noida Expressway, Yamuna Expressway, FNG Expressway, DND Flyway, etc. Paramount Golf Foreste price starts @Rs 94.40 lakhs - 1.15 crores. Paramount Group, which is an established renowned developer of the city of Greater Noida, can be relied on for delivery of your residences timely. Since its inception in industry, it has been a remarkable one with years of experience in terms of real-estate and numerous residential developments. The project is located in Sector-Zeta, Greater Noida at a short distance from malls, reputed schools & colleges, healthcare centers and social hubs. All in all, ‘Golf Foreste’ really is one of the beneficial options for you as it has everything you need for a perfect home. Spacious apartment with only 4 unit per cluster. Located at opp. Sector Zeta, Greater Noida.